Couple Of Red Siamese Fighting Fish - Betta Splendens. 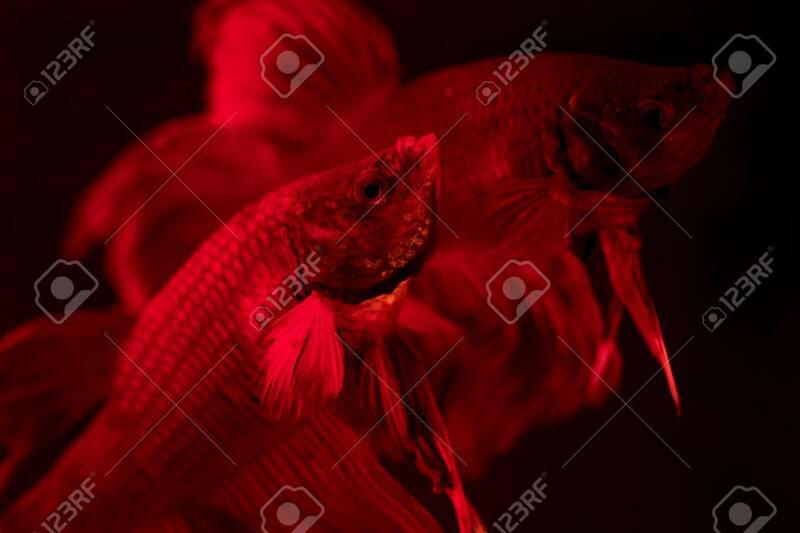 Aquarium Fish Swimming In Front Of Isolated Black Background Foto Royalty Free, Gravuras, Imagens E Banco De Fotografias. Image 113085732.